Intrigued by the name perhaps? OK, I don't normally plug someone elses work on my blog - unless it's cool, right? Well here's something for the professional photographer that is just that; COOL! Why promote someone elses work, you say? What's the catch? 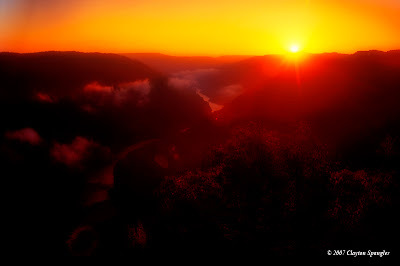 Grandview Overlook ( Near Beckley WV) Very early one morning - But it sure lived up to it's name!